A tiny Tuscany vineyard in Maremma not on the map! A tiny Tuscan vineyard in Maremma not on the map! The Podere La Carrareccia vineyard in Monteregio di Massa Marittima wine country is a "rustic" as a Tuscany winery in which you can taste wines gets. OK, hands up! I have tasted wines in more rustic and impromptu places in Maremma - that is daily life here - but they the offerings of wine producers that will never, ever, be on a regional map because they are home grown, home fermented, family affairs! It doesn't boast any huge cavernous ancient arched wine cellar, nor architect designed headquarters with spiral staircases, or rooms fit for holding concert recitals in them. For this Maremma winery is tucked away within a large olive oil estate belonging to the Benini-Stanghellini family, and is the women of the family's hobby! 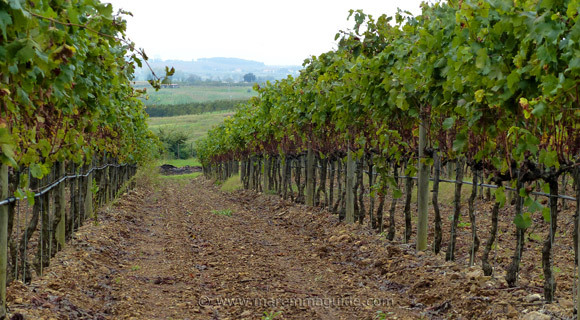 On top of their day jobs, they tend to three thousand vines planted over two hectares. The tastings take place either in the "cantina" (imagine a rural warehouse) alongside the grape crushing machine and the filled bottles awaiting packaging. Or, if the weather is good, in the garden under the gazebo of the "azienda" (farm). And if you think that this is, therefore, a comedown from other wineries, it isn't. It is just a different experience. Or the Orniglio DOC red (at 14.5%) that this year - 2014 - won the Selezione del Sindaco Medaglia d'Argento wine award and spends twelve months in barriques of French oak. Their white and dry Vermentino, Lillatraia, isn't a lightweight either. 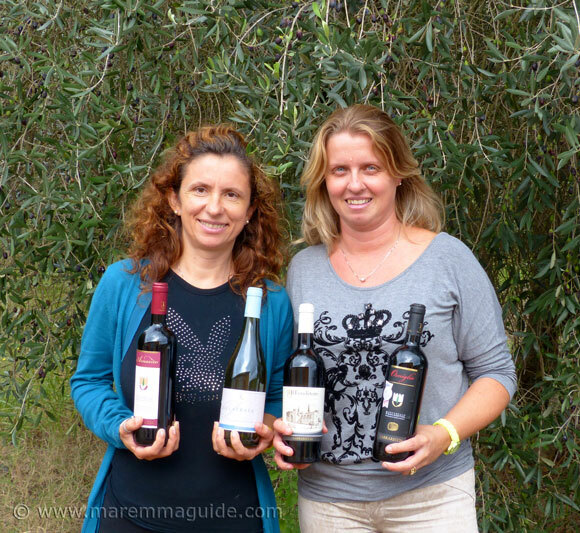 You can book a wine tasting with the women winemakers Eva and Romina by calling Eva on +39 0566 918030, Fax. +39 0566 918097, or mobile +39 320 4479089. You'll find the vineyard on the road between Massa Marittima and Follonica - just after the village of Valpiana and before the hamlet of Cura Nuova. PS. Don't tell everybody, but at the moment, the tasting won't cost you anything. A word of caution - nothing to do with the winery! Please take care when leaving the vineyard and re-joining the main road. It isn't an easy entry to make as the road is a fast one - actually what I want to write is that there is a decent speed limit but hardly anyone (that is being polite) adheres to it and the strip north has a blind dip in it just before the vineyard track exit. Enough said. 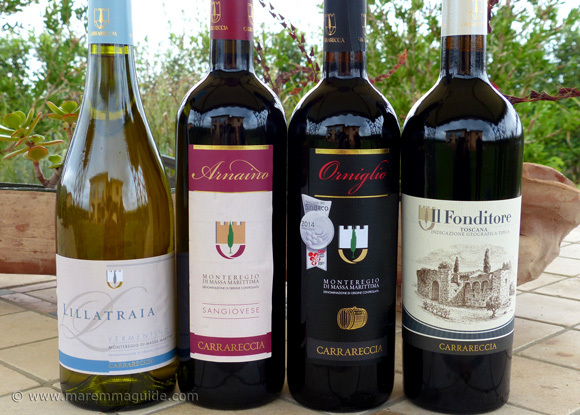 Two more Maremma wineries where you can have a great time tasting without knowing anything about wine.